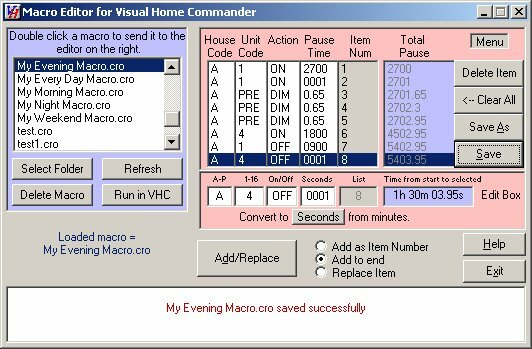 Control for X10's Firecracker CM17A. For Windows(R) 95 or Later. 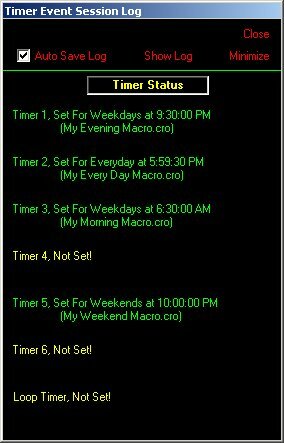 Our goal is to provide a powerful, yet very easy to use program for the FireCracker. 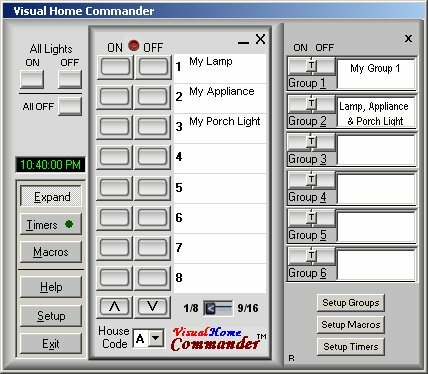 Timers and a right click setup menu have been added, along with several other enhancements, to make Visual Home Commander even easier and more powerful than ever. Simplicity and Power... a great combination! With the "Groups" button selected, the main window expands to allow the use of Group functions. 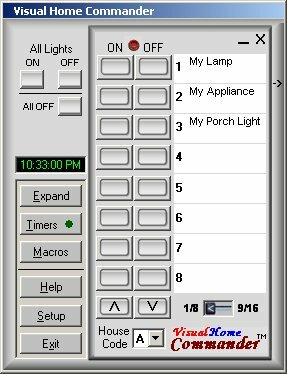 Groups allow you to turn multiple lights, appliances, or other modules ON and OFF with just one set of buttons (even if they are set to different house codes). 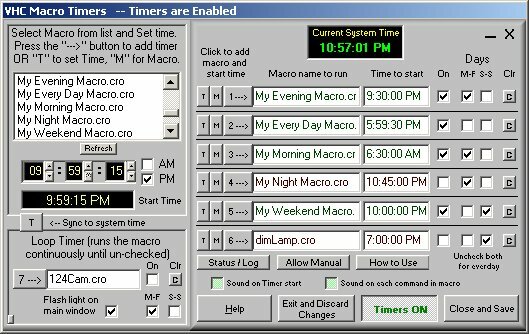 You can also setup and run macros from this window using the "Macro Setup" & "Macros" buttons.